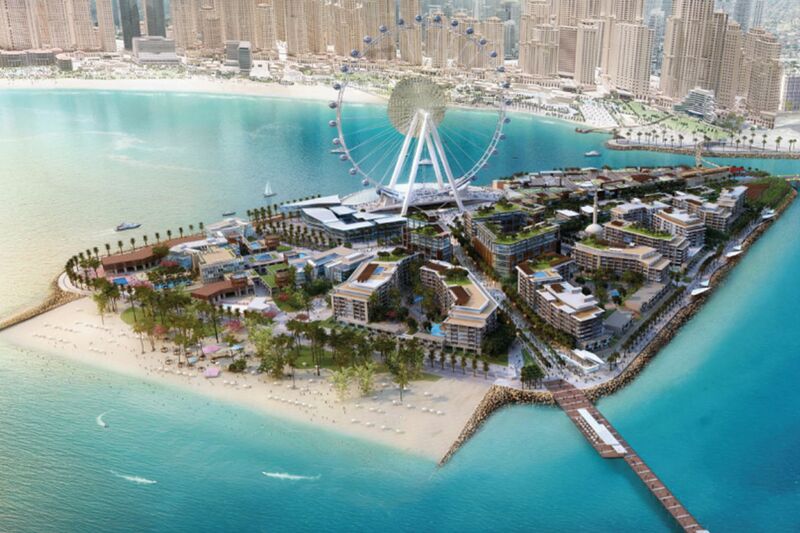 Serving as the centerpiece of the island project, an AED1bn (USD270m) 210-meter Ferris wheel will offer breath-taking views of Dubai’s exotic coastline and iconic landmarks such as Burj Al Arab, Palm Jumeirah and Burj Khalifa. The piazza at the base of the wheel will serve as an entertainment zone and a unique venue for private parties, weddings and conferences. Additionally, a large LED screen mounted on the wheel will create an innovative electronic platform for broadcasting movies, advertisements, and interactive information. The Ferris wheel, named Dubai Eye, will be the tallest Ferris wheel in the world. ‘Bluewaters’ will feature a bespoke ‘souk’ encircled by a promenade that will boast alfresco dining outlets serving a wide variety of cuisine. The ‘souk’ will host an eclectic mix of retail stores and a ‘food hall’ offering fresh produce in a traditional ‘market’ atmosphere. Complementing the ambience, ‘Bluewaters’ will host a boutique five star hotel and varied residential options. Once complete, the development will have a direct link to Sheikh Zayed Road, a monorail connecting to the Dubai Metro, a pedestrian bridge and a cable car to Jumeirah Beach Residence.